Explore the diverse landscape of India with TriBeCa Travels. From the oceans and the hills to destinations enriched with historical significance, TriBeCa Travels offers affordable getaways within India that you can visit without effort. 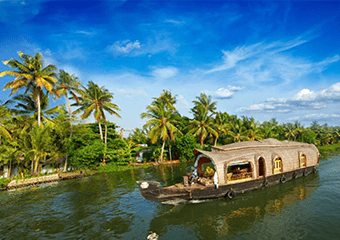 Kerala has a diverse topography, including but not limited to the famous backwaters, hills, beaches, wildlife and natural splendor. Relax and discover the beauty and magnificence, and explore areas of untouched nature. Live on houseboats, visit plantations and attend regional, cultural events with TriBeCa Travels. All arrangements are made keeping in mind your comfort and convenience, assisted by a trusted guide.